Our home needs a major renovation. We already bought some of the materials that we need to start the project but since my hubby has been having some major health issues, we will have to hire somebody to do it and we don't have the extra cash on hand right now. Even though I would really like to start the home renovation, we have to put it off because we are still supporting my siblings in college. Our home is still quite livable even though the floors look bad. The living room, which is carpeted, is not worth the trouble of cleaning. The carpet is old and it needs to be replaced. We are planning on replacing it with a completely different kind of flooring. Among the several flooring options available out there, we decided to use oak hardwood tile in the living room and use ceramic tile in the kitchen and bathroom areas. 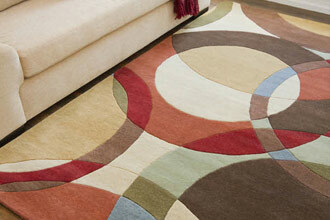 As soon as the hard wood floor is installed, my plan is to start looking for discount Area Rugs Direct. One of our three bedrooms is already set up that way and we will probably do the same with the other two rooms. Then we will either hire the rugs to be professionally cleaned or look at buying our own steam cleaner.